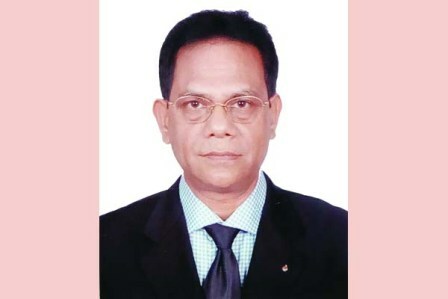 Staff Correspondent: Bangladeshi denim has bright future globally. BD denim products are dominating the international markets by beating its competitors in the European markets as well as in the United States by occupying a lion’s share. It has been possible by introducing latest fashions in jeans apparels particularly in pants. And using of laser works in jeans pants are very significant to bring in diversification in designs. 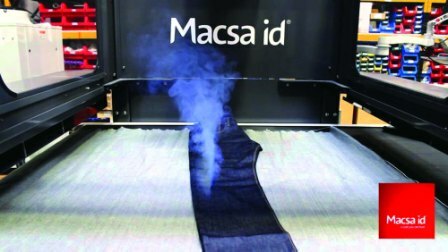 Manufacturers of denim jeans use lasers to apply finishing effects to their products and to give them a ‘stone washed’ appearance. MACSA is a Spanish company which is the pioneer and leader in the garment laser technology. ‘Lasertex’ finishing systems from Macsa id are used because they are fast, clean and flexible. They give the manufacturer a powerful tool to respond to the demands of fashion and allow them to increase their production capacity. 6,000 million jeans are manufactured every year worldwide and Laser usage is rapidly growing in the denim and jeans manufacturing industry. Today 20% of all finishing process is covered by Laser. The biggest and most important brands insist that their manufacturers should be environmentally sustainable and committed to responsible production. Macsa has more than 10,000 Laser systems successfully installed worldwide and is present in many different industrial markets including textile, automotive, food & beverage. Macsa developed its first lasers for textiles in 1999. It has been continuing to develop this range to deliver the Low cost, Reliable and Innovative products, which this industry demands. In keeping with the needs of the industry, Lasertex systems are designed to operate continuously 24 hours a day, 7 days a week and throughout the year. Macsa id Lasertex Dual Conveyor system is fully movable and flexible control system gives unlimited freedom to do any design over the garments. It is the best and latest technology in garments and fabric laser technology. 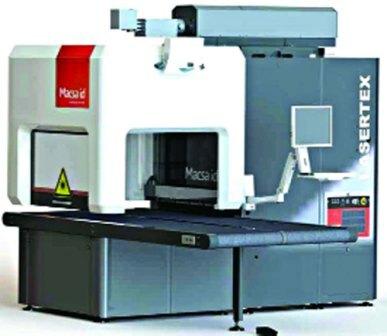 Macsa started producing Laser machine for Textiles under the name of GFK and known model is Marcatex Eco and 150 Flexi Marcatex. These two are the most common models. From the year of 2010, Macsa decided to come directly to Textile’s laser market by implementing customers practical demands and launch revolutionary LASERTEX, which are sold in Bangladesh by the Eastman Technocrafts Ltd.
a. Its Lasertube is powerful, precise spot and reliable. b. High performance external Projector ensures real design projection on feeding area for 100% accurate garments positioning. c. No need to protective eye shield use, mask and hands gloves. d. Ensures 100% safe working environments. e. Macsa Lasertex’s productivity is 35% higher than any other laser machines. f. 50% Less Power Consumption comparing to other laser machines in the world. g. 100% safe working environment. There is no chance to be hurt in head, hand and eye during operating the machine by an operator. Safe: Workers will never be in touch with the laser working area. Faster: Place garments on the conveyor without removing the previous garment placed before. Precise: With the smallest laser spot, one can achieve the best definition (3D). Logical: Always moves forward, in case one wants to use back and forward is also possible. Flexible: Garments, leg and other panels, fabrics rolls (limited by the width), full open garments, T-shirts, Skirts, Jackets etc. Cheap: For every second a worker loses time by placing garments on the other laser equipments, as a result loses money. But with Macsa, everyday, a worker will have extra working hours for more productivity for the same price. Upgradable: On the single tube model, one can add more tubes and also a mannequin at any time. Positioning: External positioning system where no mistake is possible.